“Slapping the patient on the face and telling him or her that it’s all over’ is a complete inversion of the truth. As far as the patient is concerned,it is often just the beginning” (1). Although the currently available armamentarium of analgesic drugs and techniques is impressive (2), we have not fully exploited it for the benefit of patients undergoing outpatient operations (3). 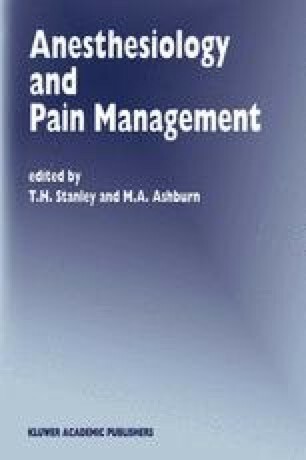 Management of acute postoperative pain is one of the primary responsibilities of anesthesiologists, however, it poses some unique problems following ambulatory surgery (4). The increasing number and complexity of operations being performed on an outpatient basis are presenting the practitioner with new challenges with respect to acute pain management. Outpatients undergoing day-care procedures require an analgesic technique that is effective, has minimal side effects, is intrinsically safe, and can be easily managed away from the hospital or surgery center (5).